Coming 8th December in Japan for the equivalent of £209 or £251. Nintendo will launch the Wii U in Japan on 8th December and make the hardware available in two different flavours, company president Satoru Iwata has just announced in a new Nintendo Direct conference. 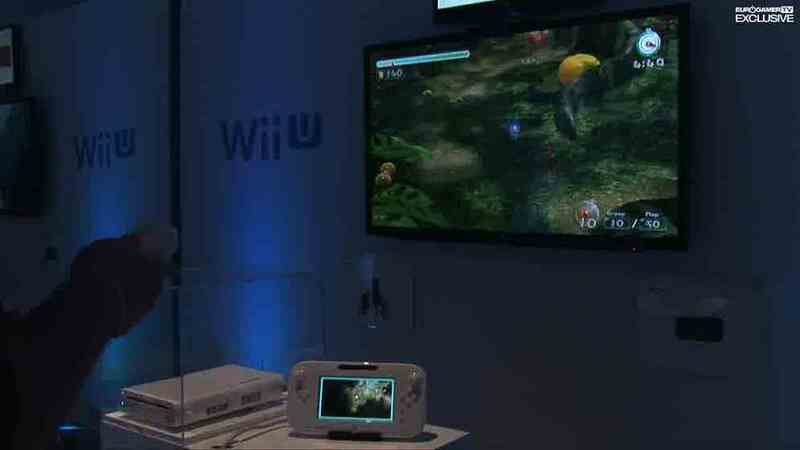 The White-coloured "Basic" Wii U will cost 26,250 yen (about £209) and comes with 8GB of flash memory. The Black-coloured "Premium" Wii U will cost 31,500 yen (£251), comes with 32GB of flash memory and a Nintendo Network Premium subscription. Nintendo Network Premium is a loyalty scheme which gets you Wii eShop points for purchases and 10 per cent back from digital downloads. There's no other way to join the service, which will run through until December 2014. Software-wise, New Super Mario Bros. U and Nintendo Land will be available at launch for download and via retail. Neither is a pack-in title, although it is worth remembering that Wii Sports was not included in the standard Wii package in Japan. Included in the Wii U box will be the hardware, a GamePad, an AC adaptor, a GamePad AC adaptor and an HDMI cable. Premium models come with a Wii U Console Stand, Wii U Gamepad Charging Dock and Wii U Gamepad Stand (sold separately, if required, for Basic owners). Separate GamePads will cost 13,440 yen (around £107) - expensive, although there are currently no games which support a second tablet. A separate Pro Controller will cost 5000 yen (£39). European information is due at 3pm UK time today, along with a better look at the system's software line-up.